Ultimately, the photo above didn’t have that epic spicy look to it; so we settled on a close up of me biting into a bright orange habanero. Believe me, that WAS spicy, and the photo well received at the webinar. But this post is about Dip! 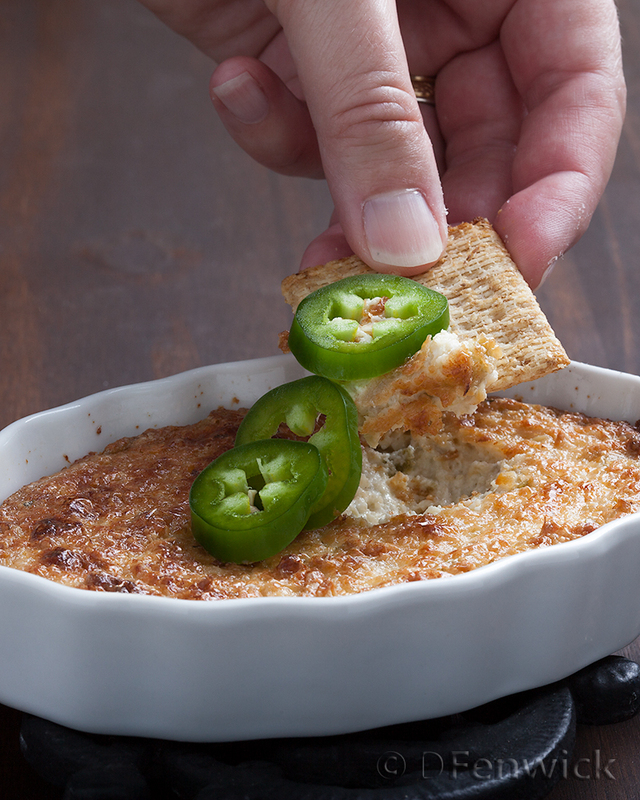 Creamy, yummy Jalapeno Artichoke Dip, so let’s get started. Using a food processor, drop in the artichoke hearts and pulse a few times, then add the garlic and jalapenos. Process till finely chopped then add remaining ingredients. Pulse to combine fully. Into an oven safe dish bake at 350 degrees F until it begins to bubble. In my oven that’s about 40 minutes. A slightly brown crust on the top will begin to develop. Remove, let cool a bit and serve with crackers or sourdough bread. Enjoy!